The DHA publication award committee faced an especially difficult challenge this year. It received the most submissions to date, reflecting both the breadth and the depth of the rich and growing field of disability history. After careful consideration, the committee found that one book rose to the top of this very competitive field. 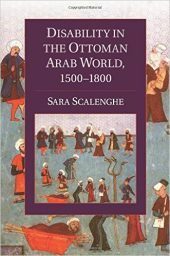 Congratulations to Sara Scalenghe’s Disability in the Ottoman Arab World, 1500-1800 (Cambridge University Press, 2014), the 2016 DHA Outstanding Book Award! 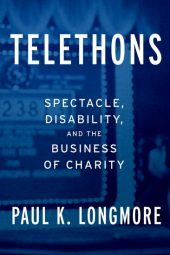 Thanks to Cathy Kudlick and a dedicated group of disability scholars for working on bringing this book to publication and for making sure that Paul’s legacy, scholarship and impact upon our field and its genesis, lives on. Congratulations and deep felt gratitude to Paul for his monumental contributions to our field.